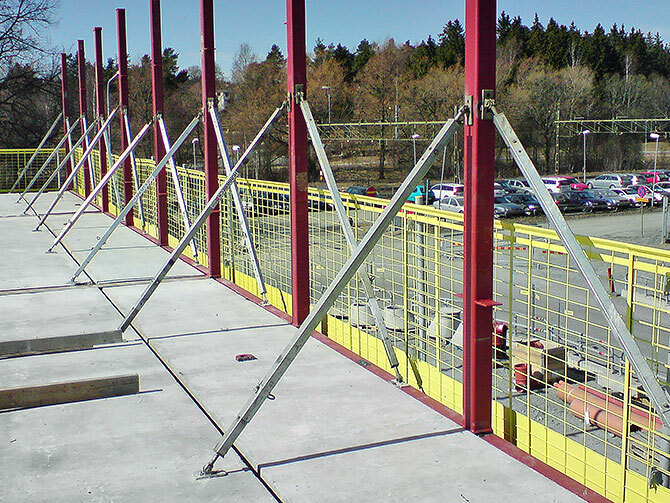 Threaded rods can be welded onto the outside of steel beams in order to create an attachment for different types of edge protection brackets. After doing so a Facade bracket, for example, can be installed together with Post 1,3 m and Barrier 2,6 L. This solution creates a free work surface right out to the slab edge. 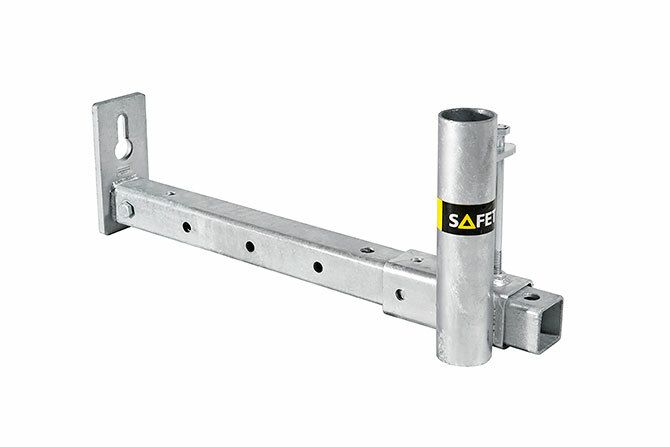 The facade bracket can also be adjusted in order to increase the distance between the steel beam and the Barrier, for example when installing walls and windows, etc. 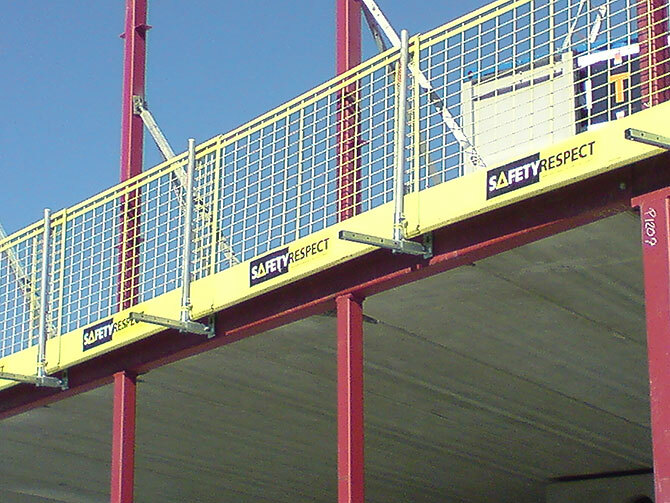 Welding of pin bolts/threaded rods can be done when producing the steel beams or directly at the working site.